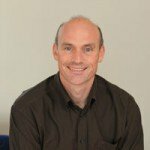 After 6 years working in Europe, Philip has returned home and established ‘Reflective Resolutions’, a Melbourne hypnotherapy practice at the Doncaster Specialist Clinic, located at 1036 Doncaster Road, Doncaster (Vic). With off street parking close at hand, the 907 bus from the city on the doorstep and some great coffee shops nearby, the hypnosis clinic is in a perfect location for eastern suburbs clients. It is just off the Eastern Freeway (nearest exit: Blackburn Rd), so those travelling across town or from country regions will find it easy to access the clinic. Philip also works online using Skype, which is particularly effective for his rural, interstate and international clients. You want to know you are in safe, qualified and experienced hands. 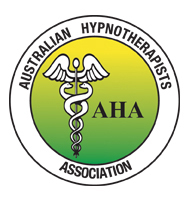 As a registered health care provider with degrees and diplomas in neurological sciences, psychology, psychotherapy, coaching, advanced hypnosis and personal change, Philip is one of the most qualified in the field. Training with the best in the business from around the world and developing global experience (Philip has worked with clients in over 30 countries, has trained and lectured on 4 continents and is internationally sought after), Philip brings the best possible mix of training, experience and understanding to your situation. As a life-long learner, Philip is always incorporating the latest research to ensure his scientifically validated treatment approaches are informed by world’s best practice. Philip’s approach is pragmatic – his prime concern is how to get his clients the results that they want.